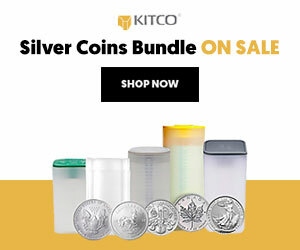 * Nickel hits two-month peak, zinc at month high (Add more quotes, updates with closing prices) By Maytaal Angel LONDON, Jan 18 (Reuters) - LME copper, nickel and zinc hit multi-week highs on Friday as base metals gained on signs the trade dispute between the United States and top metals consumer China could be easing. The Treasury later denied the talks, but the report has continued to lift global markets, including metals. "Macro headlines are moving copper. The fundamentals don&apos;t give you anything meaningful in terms of a price trend. The market is not so tight that it forces prices higher, and it&apos;s not oversupplied either," said Macquarie analyst Vivienne Lloyd. "Copper will remain range-bound until it finds a big macro trigger, and we lean towards an upside move." * COPPER: Three-month copper on the London Metal Exchange gained 1 percent to $6,052 a tonne in closing open outcry trading, having hit $6,071, its highest since Dec. 28. The metal racked up its biggest weekly gain in nine. * ZINC: Zinc ended up 1.3 percent at $2,580, having hit $2,595, its highest since Dec. 13. The metal notched up a weekly gain of 3.6 percent, its biggest since the week ended Sept. 28. * ZINC TECHNICALS: Zinc on Thursday broke above its 100-day moving average and a one-year daily descending trend, Stéphanie Aymes, head of technical analysis at Societe Generale, said in a note. "Zinc could extend the recovery towards the graphical levels of $2,643 in short term with the next hurdle at the 200-day moving average at $2,696." * TIN POSITIONS: Indicating potential supply tightness in tin, LME data shows large holdings of tin warrants and cash contracts. * RUSAL: The U.S. House of Representatives backed legislation to keep sanctions on companies including Rusal, the world&apos;s largest aluminium producer outside China, but the Trump administration is expected to lift them as soon as Friday. * GLOBAL MARKETS: Major stock indexes rose worldwide, with Wall Street set for a fourth week of gains, boosted by optimism that the trade conflict between the United States and China may come to an end. * OTHER METALS: Nickel gained 2 percent to close at $11,820, the highest since Nov. 7, aluminium finished 0.7 percent firmer at $1,870, lead climbed 1.8 percent to $1,998 and tin , untraded in closing rings, was bid up 0.1 percent to $20,600.